Starfire is the fourth DLC characters in a long list of currently 10 additional characters for Injustice 2. Starfire is expected to be released in August 2017 with the date itself still unknown. 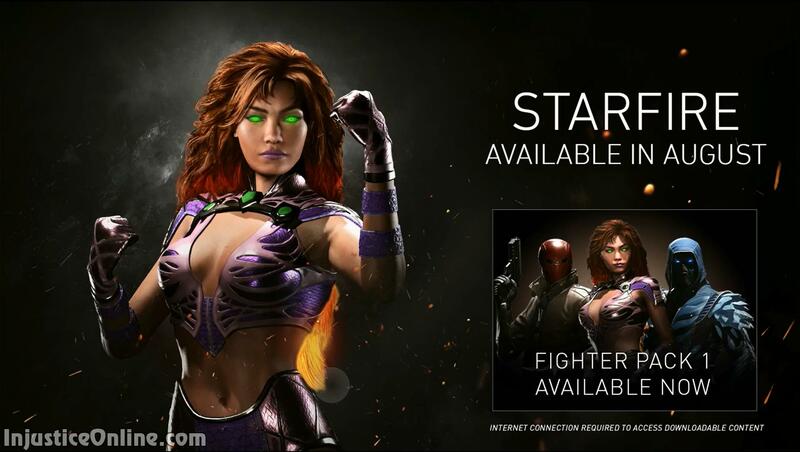 Starfire is not entirely new to the Injustice universe. She appeared in the Injustice: Gods Among Us comic books in the Year 3 Annual. There she was part of the Teen Titans who attempted to stop Superman but lost and were ultimately sent to the Phantom Zone. Are you excited about Starfire, tell us in the comments below.